Hemp is an incredibly versatile plant that has played an important role in the history of mankind. With the capability to be used to produce crucial resources such as rope, clothing, paper, and more, hemp has been the catalyst for man’s earliest innovations. There is even archaeological evidence that we were using hemp as long as 8,000 years BC. Over the years, the hemp industry has experienced a lot of ups and downs, but with the recent explosion in the popularity of CBD and a shift in demand for natural products, the industry is experiencing renaissance. Due to this new demand for hemp and hemp-based products, farmers and green-fingered entrepreneurs all over the world are turning to hemp cultivation as the next big thing. But what exactly is hemp, Is it legal and safe to use, and how exactly can hemp be used? Dive in to find answers to these questions and more. How is Hemp Different from Marijuana and Cannabis? Before we get to the nitty-gritty of this article, it’s best to clear up the matter of what exactly hemp is, and how it relates to Cannabis and Marijuana. First off, they aren’t all the same thing. Cannabis is a classification of plants with various species, and Hemp and Marijuana are both species of plant within the Cannabis family. Although Hemp and Marijuana are both species of Cannabis, they have several distinct differences. The visual appearance between the two plants is very distinct. The marijuana plant features broad leaves, dense buds, and has a bushy appearance. The Hemp plant, on the other hand, features skinny leaves that are concentrated towards the top of the plant, and grows taller and skinnier marijuana, with few branches beneath its upper portion. When compared side by side, there is a clear difference between the two plants. The process to cultivate the two plants and the environments required are also very different. During their 60 to 90 days growth-cycle, Marijuana plants are planted with ample space between each plant (they’re often grown 6-feet apart), and in order to properly cultivate, Marijuana plants require a carefully maintained, warm and humid climate. In stark comparison again, Hemp plants are grown closely together (often as close as 4-inches apart), and can be grown in a variety of different climates with a growth cycle between 108 to 120 days. While Marijuana contains high amounts of THC — the intoxicating compound found in THC, responsible for “getting you high” — Hemp has a very low amount of THC. Because of this Hemp is grown primarily for industrial purposes, while Marijuana is grown for recreational and medicinal purposes. The difference in THC-content is also the primary factor in the legality of each plant. Because marijuana has a high-amount of THC, its usage, sales, and cultivation are only legal in few states. Hemp, on the other hand, is typically legal based on several factors. Each state/country will have varying laws based on the usage, sales, transportation, and cultivation of hemp, each of which will typically depend on the THC-content of the hemp plant. In most of the United States, the allowed THC-content for hemp to be classified as legal is 0.3%, while in much of the rest of the world, the allowed THC-content is 0.2%. That being said, the usage of hemp and hemp product like lotions, oils, foods, etc. is completely legal and these products can be found in stores across the country. In order to partake in the cultivation, transportation, and/or sales of these products, you may be required to obtain certain licences or other requirements based on state laws, so make sure to do your research before doing so. The cultivation of hemp dates back thousands of years. In fact, hemp was probably the earliest plant cultivated for textile fiber. Archaeologists have even found the remains of hemp cloth in ancient Mesopotamia which dates back to around 8,000 BC. Thanks to this find and similar others, it is widely thought that hemp cultivation represents the oldest example of mankind’s industrial efforts. Over the years, hemp has played an important role in the development of human societies. It was used to make the 600-year-old Gutenberg Bible, as well as the sails of the English fleet of ships that defeated the Spanish Armada. In fact, at one point, it was illegal for farmers in England not to grow hemp. We can see how important hemp has been in the history of the human race. But what makes this plant so special? Let’s take a look at the many uses of hemp, as well as why it is so valuable to our future. As previously mentioned, hemp fiber has been used for millennia. It can be used to make fabrics and textiles, rope and paper. The word ‘canvas’ actually derives from the word cannabis. The seeds of hemp are extremely nutritious and were first thought to be eaten by the Ancient Chinese and Indians. They have a nutty taste and can be eaten raw, ground up, sprouted, or made into dried sprout powder. Hemp seeds also contain a very beneficial oil that is high in unsaturated fatty acids, including an optimal 1:4 ratio of omega-3 to 6. Additionally, hemp milk can be made from hemp seeds, while the raw leaves of the hemp plant make a nice addition to salads. Hemp can be made into a variety of building materials. These include concrete-like blocks called ‘hempcrete’, biodegradable plastics, and wood replacements. These materials have been used in the manufacture of many things, including electronics, cars and houses. In fact, the first American home made of hemp-based materials was completed in August 2010 in Asheville, North Carolina. Biodiesel — sometimes known as ‘hempoline’. While this biofuel can be used to power engines, it does take quite a lot of raw material to produce a substantial amount. In the last few years, the CBD industry has exploded. 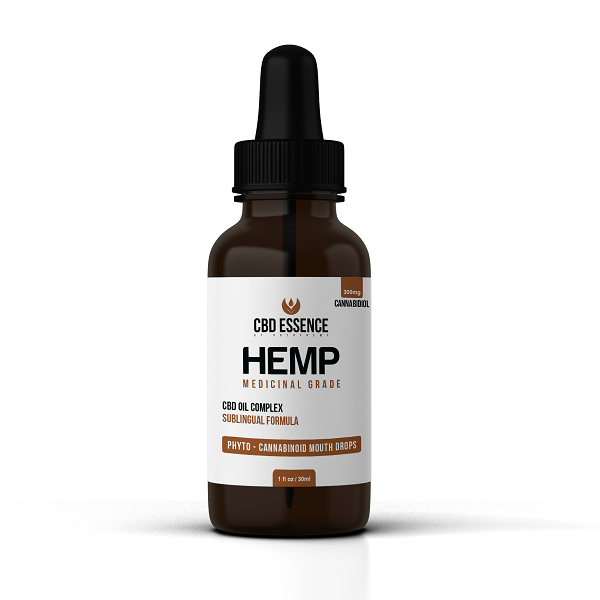 Across the globe, the all-natural benefits of CBD has resulted in a huge demand for CBD products, with hemp being the primary source of CBD. They also contain gamma-linolenic acid, which has been linked to several health benefits. Hemp seeds are also a great source of vitamin E and minerals, such as phosphorus, potassium, sodium, magnesium, sulfur, calcium, iron and zinc. The hemp seed’s high mineral content is one of its most important benefits. As it contains high amounts of magnesium, it is able to effectively treat insomnia by soothing and relaxing the body. The action of magnesium on enzymes and hormones induces sleep. For instance, serotonin, is released when the magnesium content of the hemp seed is utilized. Serotonin travels to the brain, where it becomes melatonin. The latter is a powerful aid for sleep and relaxation. Experts believe that a single serving of hemp seeds contains 50% of the daily requirement of magnesium. The seeds contain high amounts of the amino acid arginine, which produces nitric oxide in your body. Nitric oxide is a gas molecule that makes your blood vessels dilate and relax, leading to lowered blood pressure and a reduced risk of heart disease. In a large study in over 13,000 people, increased arginine intake corresponded with decreased levels of C-reactive protein (CRP), an inflammation marker. High levels of CRP are linked to heart disease. The gamma-linolenic acid found in hemp seeds has also been linked to reduced inflammation, which may decrease your risk of diseases like heart disease. Additionally, animal studies have shown that hemp seeds or hemp seed oil may reduce blood pressure, decrease the risk of blood clot formation and help the heart recover after a heart attack. Along with improving digestive health, the consumption of hemp seeds also prevents colorectal cancer. Hemp seeds are one of the best cancer-fighting foods available naturally. The fiber content minimizes the risk of carcinogenic cell generation. Research has uncovered evidence that cannabinoids extracted from this seed can inhibit the growth of cancer cells, specifically in lung cancer. Additionally, the balance of omega-3 and oemega-6 fatty acids boosts the immune system and organically balances the level of inflammation in the body. Studies have reported that the THC content of hemp seeds can stop the growth of glioblastoma multiforme, which is a fatal form of brain cancer. Some studies suggest that hemp seeds can reverse this cancer’s effects as well. Fatty acids may affect immune responses in your body. The oil may also relieve dry skin, improve itchiness and reduce the need for skin medication. Hemp seeds are high on protein and low on calories and sodium, which makes it a great supplement in a weight loss regimen. As it is a complete protein, it makes the body feel full for a longer period of time by inhibiting the release of ghrelin and curbing hunger pangs. The fiber content in the seeds also have a similar effect on the body along with assisting in good digestion and bowel movement, which in turn increases the absorption of essential nutrients and reduces weight. Some experts suggest adding up to four tablespoons of hemp seeds to breakfast every day. Since it contains appetite suppressants, you are likely to consume fewer calories during the day. In fact, by weight, hemp seeds provide similar amounts of protein as beef and lamb — 30 grams of hemp seeds, or 2–3 tablespoons, provide about 11 grams of protein. Hemp seeds contain significant amounts of the amino acids methionine and cysteine, as well as very high levels of arginine and glutamic acid. The digestibility of hemp protein is also very good — better than protein from many grains, nuts and legumes. On the other end of the spectrum, hemp seeds can also help in gaining muscle mass. It has nine essential amino acids that are not naturally produced within the human body. Combined with the fact that it is a complete protein, it enables the creation of new tissues along with strengthening muscle mass and density. It also complements a gaining workout routine and helps tone muscle. Up to 80% of women of reproductive age may suffer from physical or emotional symptoms caused by premenstrual syndrome (PMS). These symptoms are very likely caused by sensitivity to the hormone prolactin. Gamma-linolenic acid (GLA), found in hemp seeds, produces prostaglandin E1, which reduces the effects of prolactin. In a study in women with PMS, taking 1 gram of essential fatty acids — including 210 mg of GLA — per day resulted in a significant decrease in symptoms. It decreased breast pain and tenderness, depression, irritability and fluid retention associated with PMS. The exact process is unknown, but the GLA in hemp seeds may regulate the hormone imbalances and inflammation associated with menopause. Consuming hemp seeds can help regulate the hormones secreted by the thyroid gland and pancreas as it contains gamma linolenic acid. In addition, it can also treat the symptoms of hormonal imbalance, which include but are not limited to mood swings, anxiety, depression, and menopausal symptoms. It also regulates the hormones that impact hunger, and consequently weight gain. Fiber is an essential part of your diet and linked to better digestive health. Whole hemp seeds are a good source of both soluble and insoluble fiber, containing 20% and 80%, respectively. Soluble fiber forms a gel-like substance in your gut. It’s a valuable source of nutrients for beneficial digestive bacteria and may also reduce spikes in blood sugar and regulate cholesterol levels. Insoluble fiber adds bulk to your stool and may help food and waste pass through your gut. It has also been linked to a reduced risk of diabetes. 100 gms of hemp seeds contain about 70 mg of calcium, which is a fair amount. Moderate consumption of hemp seeds can supplement a regular balanced diet, which includes calcium rich foods such as milk, and consequently improve bone strength. It can also help in repairing damage to the bones. A higher production of calcium in the body can minimize the chances of developing debilitating conditions like osteoporosis. When thinking about the negative aspects, there are three main categories for the possible side effects of hemp seeds. Hemp seeds are oily and high in polyunsaturated fat. Although this is the good kind of fat, there are still about 3 to 4 grams of it per tablespoon of seeds. When adding any source of fat to your diet, you are at risk of suffering from mild diarrhea. However, this can be combated by adding hemp seed to your diet in very small amounts, gradually increasing your daily consumption. A common concern for those considering adding hemp seeds to their diet is the possible THC content. THC is the compound found in marijuana that has psychotropic properties. Although hemp seeds and other hemp seed products do not contain THC, some experts believe there is a very possible chance that ingestion may cause euphoria or hallucination. It is known that THC is not produced in the seeds of the plant, only in the flowers buds and leaves. But as seeds come into contact with the rest of the plant where THC is produced, there is a slight chance of the seeds contracting some kind of residue containing THC. This can’t be controlled for, and some brands may have slightly higher amounts than others. In addition to this, another very unlikely side effect of hemp seeds it that eating them in large quantities may cause you to test positive to a drug test. Although these are possibilities, it should be stressed that these are really hypothetical, highly unlikely scenarios. No evidence or data thus far has shown that eating hemp seeds can interact with the function of pharmaceutical medicines. However, if you’re worried, consult your doctor before taking them. Hemp seeds inhibit platelets in the blood, so caution can be recommended for people taking anticoagulant drugs. Other than this, there is little to worry about with hemp seeds and medication. Hemp is not medicine; it is a natural supplement, and as yet no interactions with medicines have been discovered. Other than the possible side effects discussed above, there are few other observed side effects of hemp seeds. Due to hemp being naturally highly saturated in omegas 3 and 6, it can be noted that there are drawbacks to ingesting too much food high in omegas, not specific to hemp. There is some research that suggests that excessive omega consumption can put you at greater risk of illnesses such as colitis. In the same vein, overconsumption of protein has its drawbacks too. Some suggest that excessive consumption may make you more vulnerable to weight gain and possibly even cancer. The research is light on the ground in this area, and, again, this is not specific to hemp seeds but to all foods rich in protein. So do the Benefits Outweigh the Side Effects? Reviewing the literature covering the benefits and drawbacks of hemp seeds, it is easy to conclude that the abundance of well-documented positive outcomes of hemp seeds outshine the few possible side effects. On a whole, the side effects of hemp seeds are negligible in comparison to the benefits. The possible side effects discussed are either highly unlikely or unspecific to hemp seeds whereas the benefits of hemp seeds are very impressive. Hemp seeds are one of the only natural sources of all the essential amino acids, have been shown to have positive influence over illness, and have been suggested to improve general health. They are safe to be taken by those for whom other forms of supplements and or pharmaceutical medicines may not be suitable, including children. So what do you think about the side effects of hemp seeds? Do you have any stories about how hemp seed products have benefited you? Or have you ever experienced side effects? Please let us know in the comments section. With the fast-growing popularity of CBD throughout the globe, and dozens of practical usages and bio-friendly alternatives made possible by hemp, the hemp industry is positioned to continue to skyrocket. The only challenge left now is to continue to build awareness and educate the general public. In the near future, who knows, this humble plant may play an even bigger role for mankind than it has in our past. Let’s all do our part and see what the future of hemp holds for us.